Valencia, the third largest city in Spain, offers a great combination of city, sun and beach, with fantastic Valencia beach villas to choose from, and plenty of cool things to do! Valencia has a mix of old and new buildings, giving it a real special feel of its own. From medieval castles and towers to modernist and art deco architecture, from nice little shops to big shopping centres, Valencia has it all. And of course there are plenty of great places to eat and drink too! The plazas or squares in Spain are often tree-lined, with gloriously cool shaded spots to escape the intense summer sun. They are normally ringed with various lanes, access points and obscure roads, leading out onto different courtyards, and in some cases, even more pretty plazas or squares. One of the most beautiful squares in Valencia is the Plaza de la Reina, or ‘Queen's Square’ in English, located in the old town. It's a great place to hang out, with plenty of places to eat too. However, be careful not to pay top tourist prices here. You can enjoy drinks in the square and then head back through the winding streets surrounding the plaza for real quality lunch or tapas, and within a few minutes you will find somewhere completely random and probably cheaper too. Eat where the Spanish eat, that's best, although in this area you have to be really ‘in the know’ to find a good Valencian paella if you fancy sampling the famous local dish at some point. One of the best places to sample a paella in Valencia is at the beach, for example at one of the traditional places at the Malvarrosa city beach, or also in El Palmar, in the Albufera natural park. One of the cities' more controversial claims to fame is that it has what is supposed to be the Holy Grail, the actual cup that Jesus drank from at the last supper, although that claim is also upheld by several other places around the world. The cathedral is a lovely old place and well worth visiting. You can actually climb to the top of the Miguelete bell tower and admire great views of the city. Inside the cathedral, the Holy Grail is one of the must-see attractions for those of a religious following. Legend has it that the cup travelled from Rome centuries ago. However, when the Muslim rulers took over Spain, it was placed into hiding for centuries and only returned to the city in 1427 by the gloriously named King ‘Alfonso the Magnanimous’. Whilst the prospect of wandering around a food market is not everyone's first choice of what to do whilst on holiday, the historic Central Market of Valencia is quite unique and well worth a visit. Not only is it a great modernist building to admire, it is also somewhere where visitors get a closer insight into the daily life of the Valencianos. The market itself is divided into sections, depending on the type of food available such as fish, a meat section, a fruit section and so on. There are some really interesting stalls here: some of the fruit and vegetables may look strange to visitors, and so may some of the traditional meat products which are still popular here but not in northern parts of Europe. Even if you get bored, there are loads of traditional shops, bars and cafes around the perimetre of the building. It is a really nice area to stroll around. Read more about the Mercado Central or Central Market of Valencia. Many would say that a holiday in the sun is incomplete without a visit to the beach. 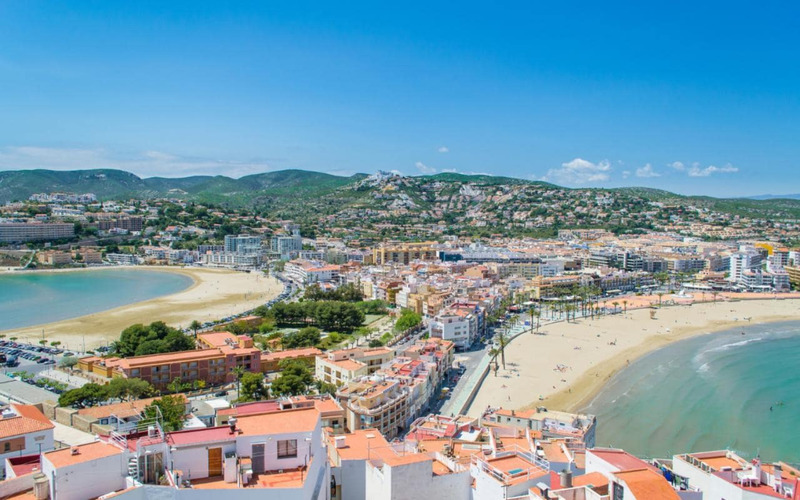 Luckily, the city of Valencia has many beaches along its coastline, several of which are unspoilt and undeveloped places to sit down and chill, and maybe take a dip in the lovely blue sea here. In addition, each barrio or area, has its own street market once a week. In the main central part of the city, the streets are wide, tree-lined and bordered with high-rise buildings of quite beautiful architectural merit.